It went toward spay/neuter surgery for dogs in our rescue. Scooter has since been adopted, but came to us with a very large wound and heartworms. 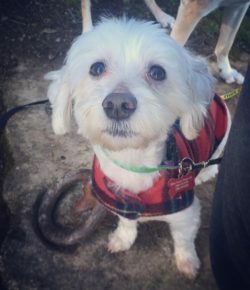 Scooter is a very loving and sweet boy with an energetic streak at times. 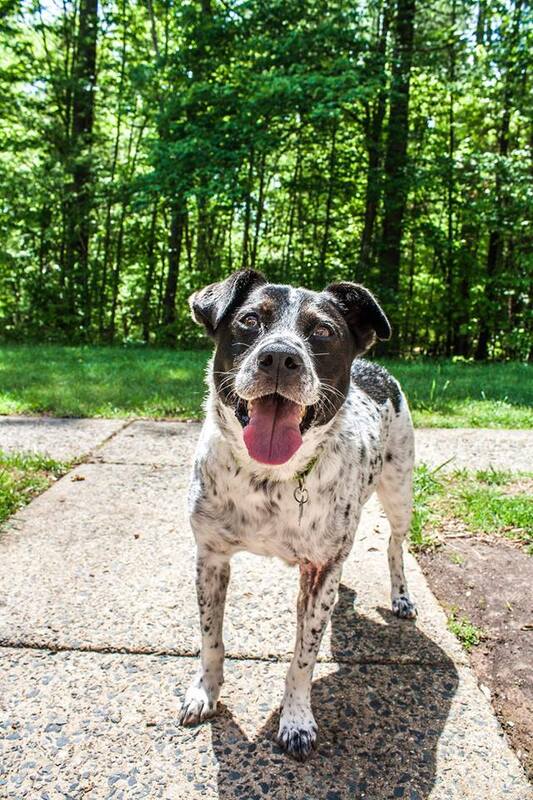 He could stand to lose a few pounds, but loves to go on walks and would make a great buddy. He doesn’t bother cats, and gets along great with dogs and people with proper introductions. Veterinary care to amputate a leg after a pet was found hit by a car. This allowed us to save another life! 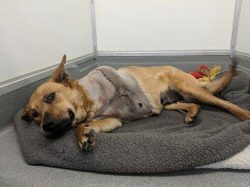 Without this money, would not have been able to provide the surgery that Brooke the dog so desperately needed, and she would have been euthanized if we had not received these sponsorships. Brooke is an adult golden retriever mix who was found after she had been hit by a car on a busy street. A police officer brought her to the shelter, and it was found that she had a severe luxation of her left foreleg and needed surgery. We had just received the Sponsor a Pet grant from the Petfinder Foundation, and we used that money as the jumping-off point to fundraise to get the care Brooke needed. 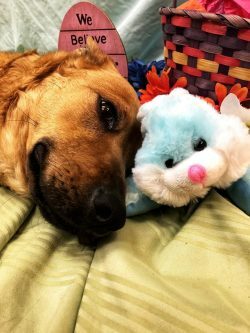 We raised the remainder of the funds needed to pay for her surgery, but she had some complications and had to be hospitalized for several days. We began a new fundraising effort, collecting the rest of the money needed in less than 24 hours. Brooke has now been adopted and loves her new home! Her family reports that she is getting around fine and acts as though she’s always had three legs! 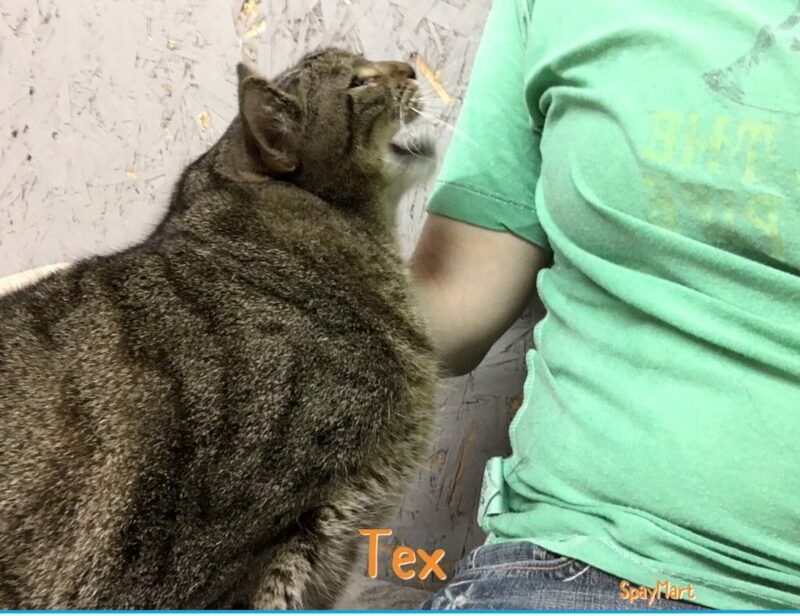 Tex and a dozen other cats went on a transport to a shelter in Maine that actually had a demand for cats. The transport went smoothly and most of the cats have already been adopted in Maine. 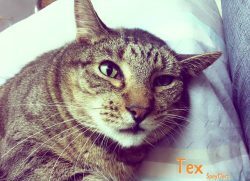 The sponsored pet was Tex. Tex was dropped at the SpayMart Sanctuary as a very young kitten. He was all alone and the staff spent time with him as he grew and grew. He is a very sweet, affectionate boy. He was at the sanctuary for about four years and had not been adopted. In April of this year, there was an opportunity for Tex to go on a transport to a no-kill shelter in Maine, as that shelter needed healthy, adoptable cats. 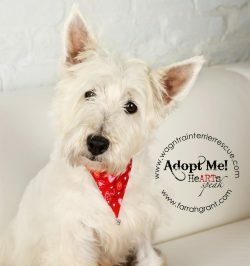 Tex was well-behaved on the transport, which took 36 hours, and he was adopted almost immediately upon his arrival. SpayMart is happy that the love and attention that Tex received at the SpayMart Sanctuary made him a favorite on the transport and gave him the opportunity to find a forever home. 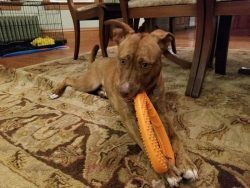 Touchette was a playgroup rock star at the shelter, so we made sure she went to a foster home with other dogs so she would get occasional workouts. We also sent her with toys thanks to the wonderful donation in her honor. We love when we can provide the basics to enhance a pet’s life in the shelter and in a foster home. Sometimes it’s the little things. We added the $67.50 donation to our operating account to help pay vet bills for the dogs we rescue. 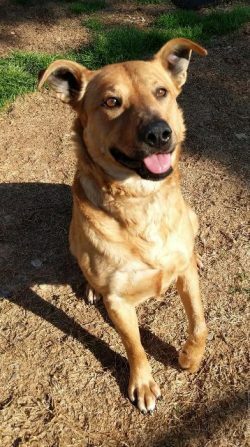 The donation received helped pay for a neuter of a rescue dog. We help dogs found stray or given up by the prior owner. The $67.50 donation helped rescue one dog and assisted in paying to have the dog neutered. The sponsored pet was Mica, who has been adopted. 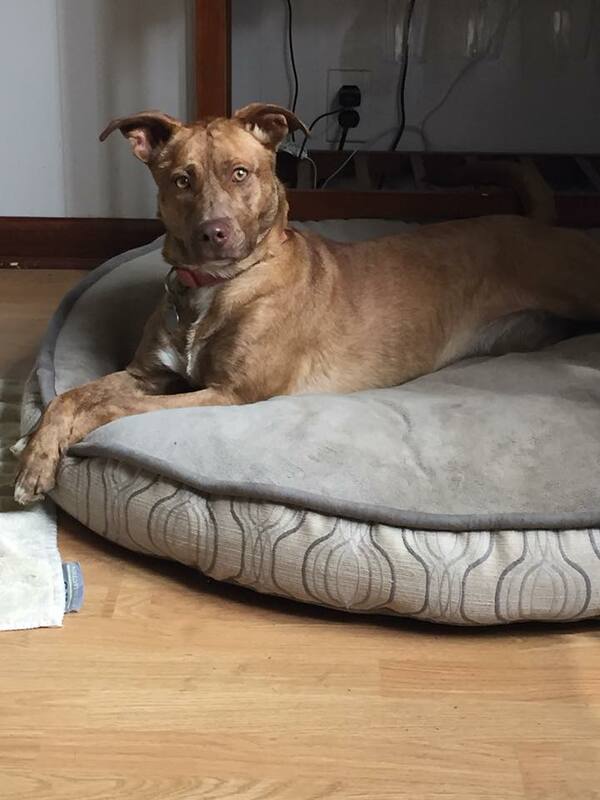 From her Petfinder profile: “Mica is a 2-1/2-year-old female mixed breed. 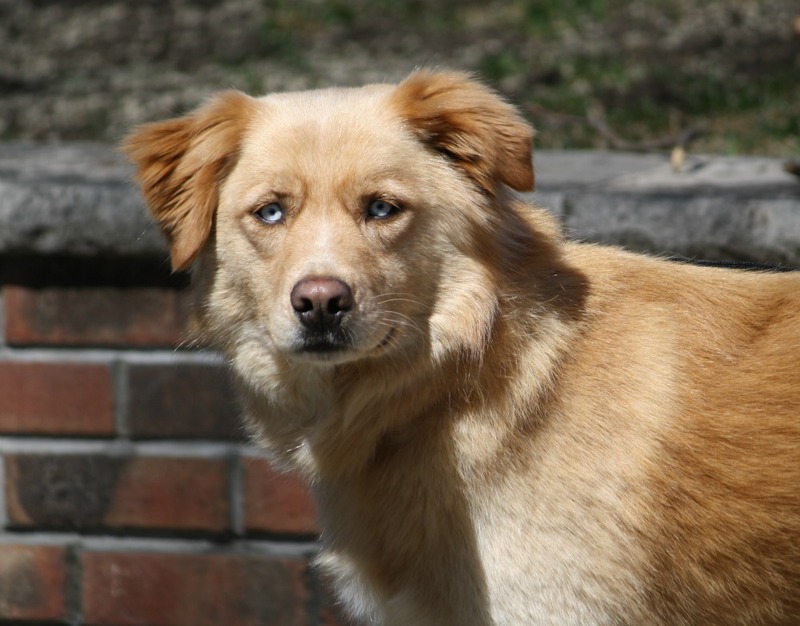 (We guess golden/husky, but we could be wrong.) She certainly has not had an easy time this year. Her prior owner passed away in January. When she arrived to us, we had to delay her adoption. 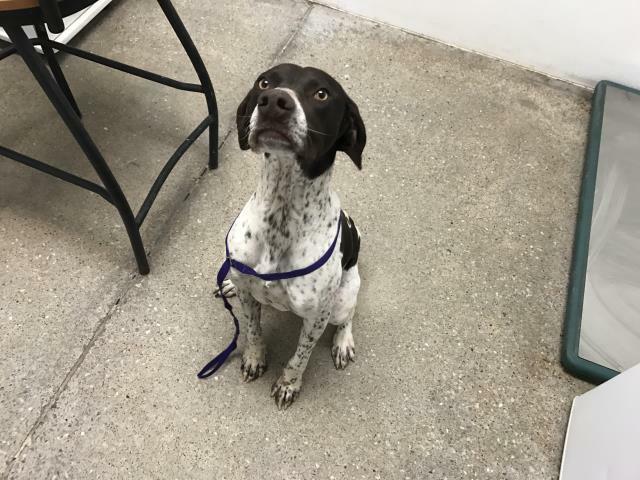 She is a housetrained dog and she must have held her urine as long as she could because she arrived to us with a urinary-tract infection. With the help of an antibiotic, she cleared up and has been fine ever since. She can be fearful when something is startling/unexpected, so we believe that a child-free home would be best for her. Children can be unpredictable, and we do not like to see her be wary, as she has such a sweet side to her. Adoptable cat Kitty was in the adoption center at PetCo. She needed to see the vet and get her immunizations current so she could be ready for adoption. Updated health records are required for all adoptable pets who spend time in the adoption center waiting to meet their forever families. 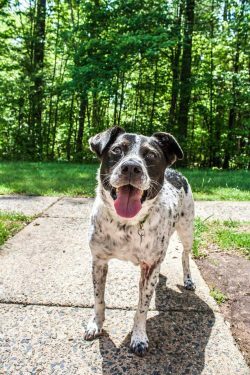 Having healthy, happy, adoptable pets reassures potential adopters that the rescue pets in our care are coming with a clean bill of health, promoting adoption into a caring home. These funds helped two cats: Kitty was adopted by a great family who just adore her, and now a spot is open in the adoption center for another rescue pet who is ready to find a forever home. Kitty is a senior gal whose owner had some unexpected life events and was no longer able to care for the cat she’d had for more than 14 years. Save the Cats Arizona was blessed to be able to offer a safe haven for Kitty so she could be adopted into a loving home. Her owner was beyond relieved and thankful that this precious little one would be taken care of. This sweet lady captured the hearts of her caregivers and those who came to meet her. 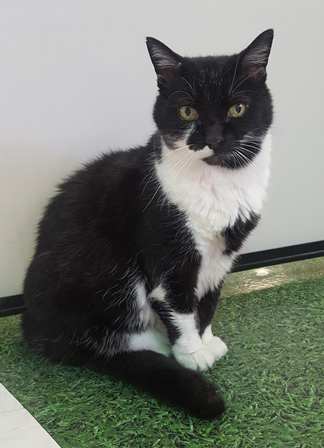 After a few weeks at the adoption center, an inquiry came in via Petfinder from Tracy, who was seeking a senior cat as a companion for her own senior cat (who had recently lost her lifelong senior feline companion). Tracy has sent updates that Kitty is fitting in with the family just fine! She sleeps on the son’s bed and comes down to the kitchen for breakfast and to bird-watch out the window. Perfect — we love a happy ending! We have a terminally ill foster dog who requires special medication to ease her breathing problems. 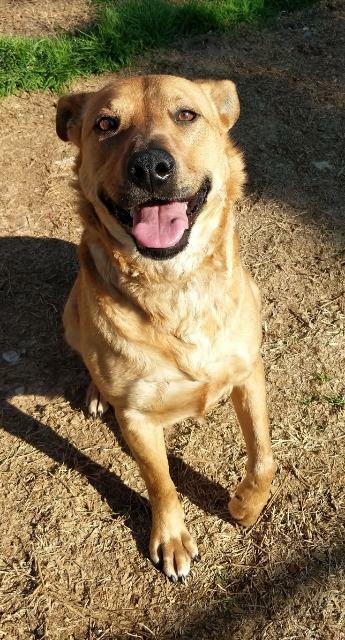 By using the grant money for our Sanctuary Sweethearts, we free up funds for dogs to be spayed and neutered. We received $90, which went to cover the neuter of Prince. 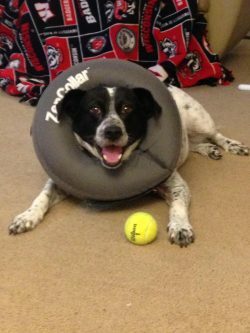 It helped pay for a neuter so we were able to use our other funds to cover unanticipated medical costs for our other dogs. This helped one dog directly, but many indirectly, as if freed up funds we could use elsewhere. This donation sponsored the adoption fee of a dog in our care named Ivy. Ivy’s adoption sponsorship meant that someone who may have overlooked her before may have taken special notice of her since her adoption fee was waived. This grant helped Ivy get adopted by taking away the financial barrier to adoption that many face. 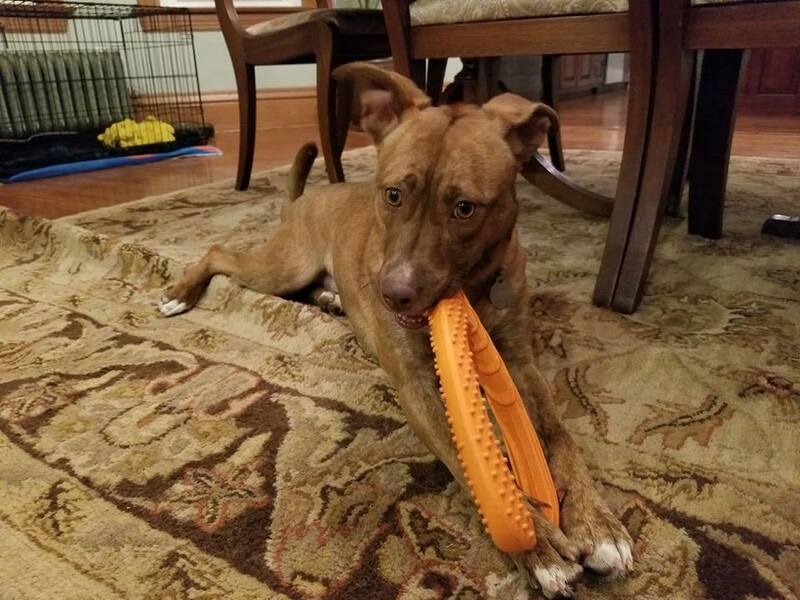 This sponsorship helped her get adopted, which not only meant that Ivy got a good home, but that her length of stay was shorter and thus we could help more animals like her. Ivy was brought into the Lawrence Humane Society by transfer from another facility in central Kansas. 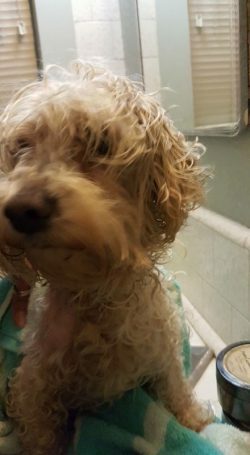 When she arrived, she was a bit rough around the edges and definitely needed a bath. Once we got her cleaned up, we learned that she loved to play with other dogs and get affection from people. She was later adopted by a loving family with plenty of land for her to run around. Mending Spirits Animal Rescue used the $90 grant we were awarded to sponsor a bonded pair of cats who need to find a home together. The adoption fee would have been $100 per cat. We have them listed to be adopted together with an adoption fee of $110. We are able to do this because of this amazing gift. We gave this donation to sponsor a bonded pair of cats to help them find a forever family together. They have been though a lot. They came to Mending Spirits after they lost their family due to death. We had them in care for a few months and they were very happily adopted out together. After about a year, they again lost their family due to the tragic and unexpected death of their adopted dad. 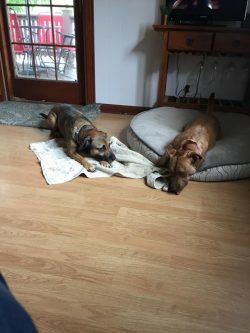 They are very lucky to have each other, and we are excited to be able to use this grant to keep them together in their next forever home. 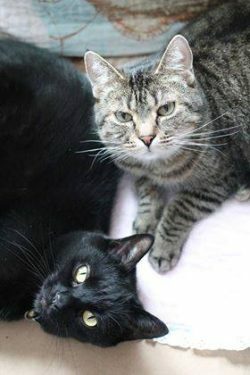 This grant is helping two adult cats be able to stay together. Mia is a friendly lady cat who loves to curl up on you while you read a book and knows exactly when there is an open lap for her to jump on. Her best trick is to sit on her hind legs like a meerkat and reach up with her head for a pet. Romeo is a curious gentleman cat who likes to explore and tell you about his adventures as he goes along. His best trick is to open doors using the doorknob and go spelunking in all of the cupboards.